Johan Maurtits van Nassau was born on June 17, 1604, in Dillenburg. In 1630, Holland invaded Brazil and stayed there until 1654. 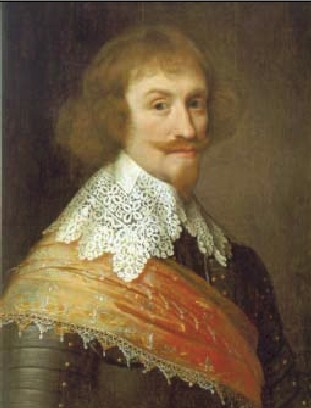 In 1635, the Count Maurício de Nassau (as he became known in Brazil), a very important Dutchman and member of the WIC (West India Company), was sent to Recife to govern. Nassau distinguished himself by taking important actions. He loaned money to bankrupt farmers, built bridges, museums, theaters and other buildings that Recife had never had before (like palaces). He also encouraged religious tolerance by forming a city council in which Catholics, Protestants and Jews participated together. And he built the "Mauritsstad" or "Cidade Maurícia," kind of a litle city inside Recife. Nassau is considered a hero because, as an invader, he didn't kill or oppress the people, but instead helped Recife, developing the culture and Recife's infrastructure. He eventually returned to Cleves because of poor health and died there in 1679. The residence he built in The Hague has become a museum housing works by famous Dutch painters such as Johannes Vermeer, Rembrandt van Rijn, Jan Steen, Paulus Potter and Frans Hals. Wikipedia - Read more about Maurício de Nassau. Mauritshuis - Visit this Royal Picture Gallery which was formerly Maurício de Nassau's residence in The Hague.